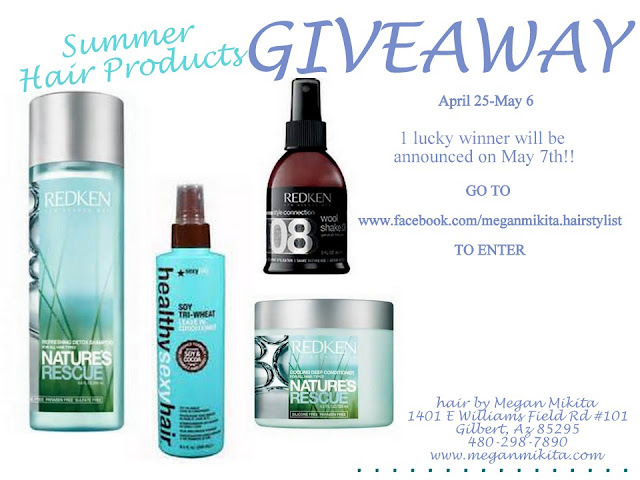 Megan Mikita: GIVEAWAY: my 'MUST HAVE' hair products for summer! GIVEAWAY: my 'MUST HAVE' hair products for summer! A few OF MY FAVORITES...UP FOR GRABS!! Directions on how to enter are on my FACEBOOK page! link to my facebook page to the right!!! Thanks and GOOD luck! !